Pure. Owl. Bliss. For little ones who have trouble drifting off to dreamland, these amazingly cute Lavender Owls may help speed up the process. Made by Etsy shop Pouch, each of these adorable owls is chemical-free and handmade with vintage fabrics, French lavender and non-allergenic stuffing. You can slip one under a tot’s pillow, place one in a drawer or even hang them in a closet to repel moths. We think Lavender Owls make a perfect eco-friendly stocking stuffer too! Beyond these cute owls, Pouch designs a vast range of eco-friendly products made with vintage fabric, such as bags, purses, accessories and housewares. Pure. Owl. Bliss. For little ones who have trouble drifting off to dreamland, these amazingly cute Lavender Owls may help speed up the process. 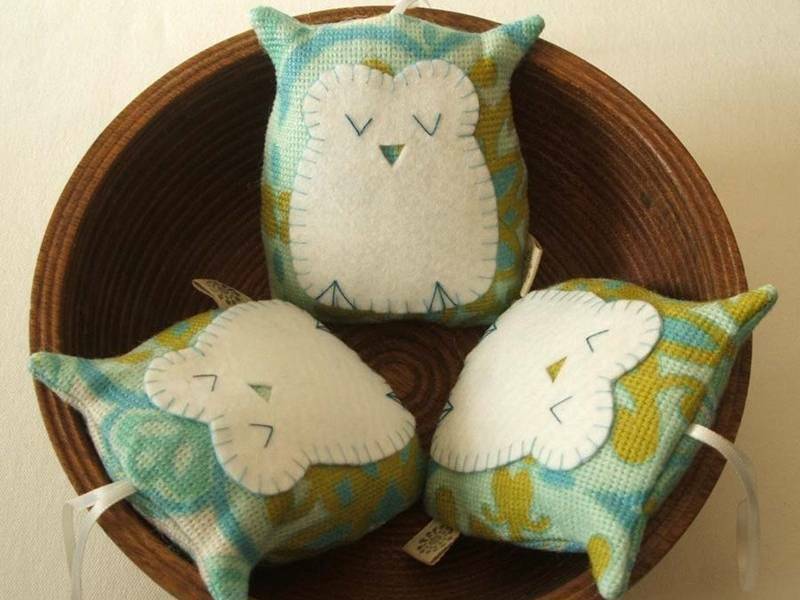 Made by Etsy shop Pouch, each of these adorable owls is chemical-free and handmade with vintage fabrics, French lavender and non-allergenic stuffing. You can slip one under a tot's pillow, place one in a drawer or even hang them in a closet to repel moths. We think Lavender Owls make a perfect eco-friendly stocking stuffer too! Beyond these cute owls, Pouch designs a vast range of eco-friendly products made with vintage fabric, such as bags, purses, accessories and housewares.